I am Sarah the person behind Sleepee Teepee Party. I want to say thank you to all of you for the support received since opening. In this short period we were growing very fast. Our first location is in Peace River, AB. It offers parties to Grimshaw, Manning, Fairview, Nampa, Falher and the surrounding area. A second location has just opened, providing services in the Southern Alberta included Calgary and Areas, Airdrie, Beiseker, Acme, Irricana, Three Hills, Drumheller and more locations will be opening soon! I created this company so kids can build relationships, have fun, make memories and open up their creativity. As a native of Peru with over 25 years of experience working with aboriginal communities in Peru, South America and now in Northern Alberta, Canada, aboriginal consultation is important to me. We took into consideration every single detail of our company, consulting with elders from the Peace Region. My business and I were given their blessing. Let’s keep politics out of slumber parties and please rest assured that I conduct business with respect. I truly appreciate everyone who is taking the time to visit the Sleepee Teepee Party website and Facebook page. Thank you for your support! Everything we promote here is handmade by the women in our community from the bath bombs, dream catchers, the teepee tents and bedding. In the future, I hope to work with more artisans from the community to throw the best, most beautiful and fun parties. I’m looking forward to the future and building more relationships. Please share our page, like it and stay tuned for more exciting news! One day, my creative daughter Brianna asked me for the best sleepover ever. It was very sweet because it was for herself and my niece Agneska because they share the same birthday! How could I refuse? Brianna and Agneska's sleepover would be comfortable, unique, fashionable and something they would remember. This was when I set up my first Sleepy Teepee party! I have to give my hubby some credit here: the concept may have been mine but he came up with the name! Yes, he really is a keeper! I thought to myself that I could bring such joy and magical memories for other children too. Not to mention a stress-free set up and take-down for parents! My daughter's wish, the joy it gave me and the desire to give parents party packages for all budgets, all combined created this beautiful little business. It would not exist without my Brianna and Agneska. May sleepover dreams come true! "Hello families of Edmonton. My name is Keely and I am so excited to be the newest addition to the Sleepee Teepee team. I look forward to being able to create a unique themed party for your child. 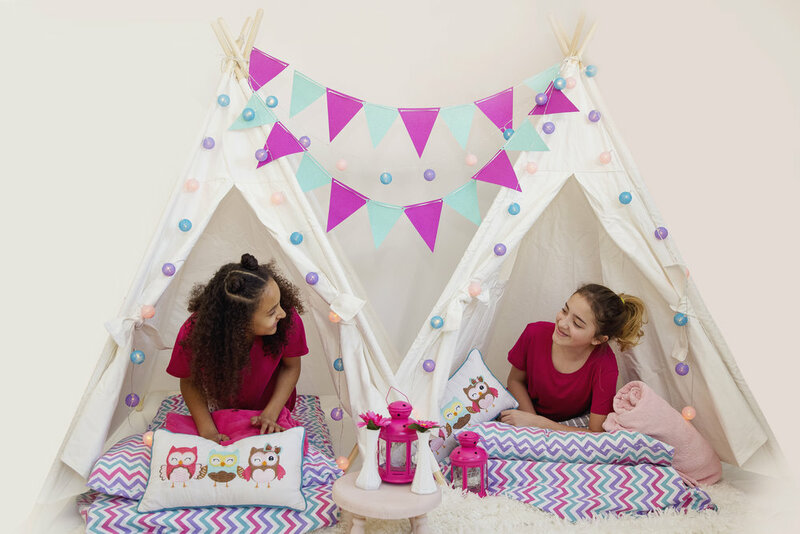 It's time to step up those slumber parties to whole new level, Sleepee Teepee style. As a mother of 3 myself I know how stressful birthdays can be at times, but no need to worry any further parents! 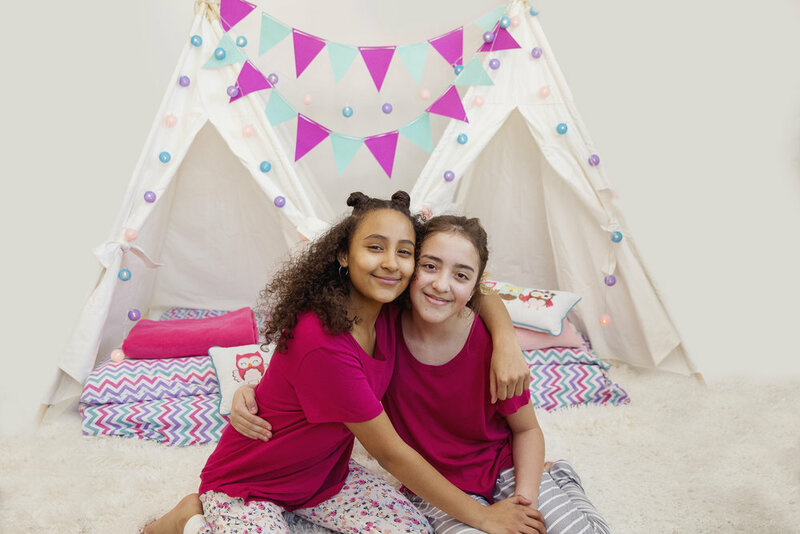 Your newest sleepover specialist is here and is ready to make your child's birthday memorable and full of cherished moments for all. Looking forward to hearing from you "
Stacey here! Excited to share my passion for celebrating each moment in life, with others. Mother of three, grandmother of two. Worked my entire career promoting the abilities of people who face barriers. Hi! My name is Sofi Cortes I am original from Colombia and mother of three. I am very excited to be your STP Sleepover Specialist. 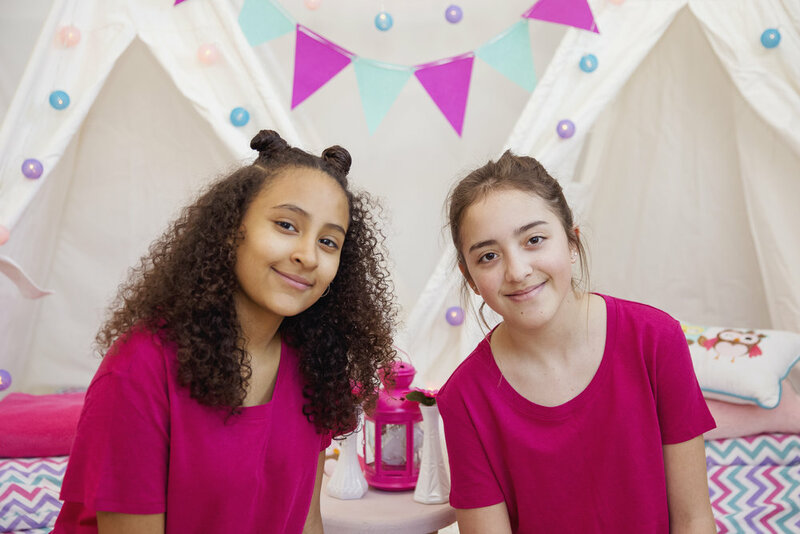 Let’s me help you to take your child’s sleepover party to the next level of fun! Does your child have a birthday coming up? why not give them a party to remember ! Contact me today to enquire about our STP packages in your area!